Enjoying nature and spending some time on the water is something we all crave as outdoor enthusiasts. Nature provides the calmness we desire to relax while fishing is a great way to enjoy the time and have some sports. Fly-fishing is one of the easiest ways for anyone to start. Compared to bait cast fishing, it is much faster, and instead of waiting, you will continuously be casting in the hope that something bite. This eliminates the boredom that many people associate with bait cast fishing. Compared to spin fishing, fly-fishing is a much lighter endeavor, and you can cast out more delicately than with a lure and a spinning outfit. This means that could potentially cast microscopic flies and drop them right near the fish without spooking them. One of the cons is the fact that spin fishing is somewhat cheaper and it is much easier to learn. Learning the perfect spin fishing technique took me a little under a day, while fly-fishing seems to be a constant learning process. 7 What Does The Taper of a Rod Mean? 8 What Is Fishing Rod Power? 9 What Weight Fly Rod Should You Use? 10 Which Fly Rod Length Should I Go For? 19 Are you ready to enjoy the outdoors a little more? First, on our list, we have the G.Loomis NRX Lite Presentation, and it is available in multiple rod lengths and with moderate tapers. The rod breaks up into 4 different pieces, and we found this to be quite comfortable since it is much easier to break down and transport to your favorite fishing location. As a lightweight fly rod, it is effortless to handle and to maneuver to get those finicky fish that just won’t bite. The rod is quite expensive and considered one of the top rods on the market today. In our experience, fishing with it turns out to be a pleasure, but having one if you are not a professional angler simply does not make sense. The rod is quite durable, and we would recommend it to some of the more professional anglers. 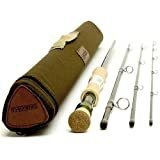 Next, we have the Thomas & Thomas Avantt fly rod and this graphite rod also comes with four pieces that can be assembled and disassembled to make it much easier for you to carry around. It comes with a stylish Low Friction finish, making it ideal for anyone looking for something g stylish. Casting with it is quite tricky, and we had to spend some time figuring out the correct technique, but as a professional angler, this rod should be perfect for you. 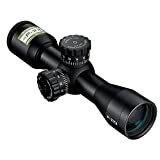 Regarding the price, the rod s quite expensive and should often be used if purchased. This rod might not be the ideal rod for beginners to start out with, but it is recommended as one of the top fly rods on the market for fishing in freshwater lakes. One thing we loved is the tight loops from casting, and this offered us excellent control over the line. With the Orvis Helios 3, we learned that when it comes to fly fishing, accuracy certainly is everything and this rod certainly makes this possible. Compared to the Helios 2, the H3 is around 20% stronger and offers a little better performance as well. It has been designed to build on the momentum that Orvis has currently been sitting on and to excel the way we know fly-fishing. It features a metal clamp on the rod instead of the traditional burly wood clamp, making it possible to spot this rod afar. The rod is great to use, and while it is rather expensive, it has been primarily designed for the professional angler to use. As one of the best rods ever created by Orvis, we would recommend it to professional anglers. The G. Loomis Asquith series is one of the revolutionary rods when it comes to increased sensitivity. It is primarily designed by world-class fly fishing legend Steve Rajeff to provide a new leap in fly rod technology. One of the things that really stood out about using this rod is the increased recovery and energy transfer from tip to handle, making it one of the most versatile rods to use on the market today. The rod is recognized for its stylish design and fast action, and it is excellent for casting longer distances and offers the user all the control needed when fishing on a professional level. We would recommend this rod for the sheer quality and the value, but it is designed for professional use. The Sage Pulse is one of the top-rated fly rods on the market today. It is designed from scratch and features new Graphite llle technology that sets it apart from the rest of the competition. The rod features fast action and is around 10-feet, making it perfect for professional anglers looking for a little more power. Using the rod is quite an honor, and since it is used by many of the world-class anglers, it doesn’t take long to see the difference it makes concerning casting and overall line control. The custom design turns heads and makes you look more professional as well. This rod is undoubtedly designed to be used for professional competitions and tournaments. While not one of the most famous fly rods, the LOOP Opti Stream puts a ton of emphases on mobility and performance and this can be apparent from the first cast. It is perfect for squeezing your flies into those tight spots with its excellent accuracy, and the cork handle is something that we found to provide some superb grip. Putting the reel into place is also made much easier thanks to the permanent lock, and this removes any additional tampering. It is the ideal rod for one-handed fishing and puts a ton of control in your hand’s thanks to the slower line speed. This rod is the perfect rod for any average angler to get started before heading up the ranks. For those of us who know the biggest trout live in stillwaters, this is your new favorite float tube fly rod for lake fishing. Another one from Sage, the X rods are designed for reeling in larger fish, and with a line weight of 10, this 9-foot rod is ideal for catching some of the larger freshwater fish found in lakes around the US. The tight loop is something we loved, and while excellent control is guaranteed, this fast action rod enables the user to cast for longer distances easily. The rod is definitely performance driven and thanks to the fast recovery, we managed to get out of many tight situations. One of the downsides is the high price tag, but if you are looking for the best, you need to be willing to pay for it as well. This rod is the perfect rod for professional anglers catching in multiple tournaments. The Hardy Zephrus FWS Rod features a fast action blank design that is sure to help you reach those longer distances. Using the rod, we found the accuracy to be phenomenal, and the speedy recovery is excellent for not missing any opportunities. It has been made from durable Sintrix materials to improve the overall durability and reduce the weight. This rod might not be the most stylish rod on the list, but regarding functionality, it indeed does excel. The rod is quite expensive, making it perfect for serious anglers fishing on a regular basis and we would highly recommend it for this purpose. Using it was a joy, but it does have stiff competition when comparing it with the Sage X Family. Last but certainly not least, we have the cheaper Fenwick Aetos and this rod is designed to be more affordable, but still ideal for professional use. We had the opportunity to test out the fast action blank, and it does provide decent accuracy while giving you some decent casting range as well. The only problem might be the extra weight, but as you are starting out, this might not be too much of a problem. The Fenwick Aetos is one of the ideal semi-pro fly rods for intermediate anglers. It does have such a hefty price tag and will certainly be suitable for anyone fishing occasionally as well. The Scott Meridian is a perfectly designed 8-weight saltwater rod. The one thing that immediately comes to mind when picking it up is the lighter weight when compared to other saltwater rods, and the Helios-2 is the only rod with a lower swing rate. The rod is designed to be functional and easy to recover when needed. The rod does have a ton of power, sending your flies much further than the Helios-2, but once you start catching close range, this rod becomes magical. The rod is designed for professional use, and with all of the features being ideal to resist the deterioration caused by saltwater, this will be a great rod. Enhanced feel, incredible stability, and unequaled performance. X-Core combines the industry’s most advanced composite technologies with cutting-edge design. The Sage Motive is another fast action rod with a line weight of 10, making it perfect for catching larger fish in the ocean. After using it for a couple of casts, the rod feels extremely lightweight and offers great distances, while still putting all of the control in your hands. The rod is extremely responsive and should be ideal for a long day on the ocean. After using the rod, it seems to be quite durable with a little bit of flex. It is certainly performance-driven, and we would recommend it for the more advanced anglers casting on a regular basis, but if you are looking for the best, this rod is certainly one of them. The G.Loomis Crosscurrent GLX is one of the top rods to endure the ocean and to withstand the windy conditions out on the waves. The rod is made from high-quality graphite and features a stiff power. It is ideal for casting long ranges, and the different weights mean that you could find the ideal line weight that meets your needs. This rod is perfect for professional use and with its reputation for being one of the best for the saltwater lovers, we would recommend it for the value it offers. The rod also breaks down into 4 pieces, making it extremely easy to carry and transport if needed. As a reasonably priced rod, the Hardy Zephrus SWS is the ideal rod designed for the intermediate angler out on the waves. It has been constructed by hand with the award-winning Sintrix materials, giving it some added power and reducing the weight to make it perfect for any angler to use. It is still fast action, and this means that you will have longer casting distances and more power. One of the things that stood out the most is the stylish design and the quality, but that can be used to anchor the rod against the body. This rod is perfect for catching medium sized fish in the ocean, and we would recommend it to professional and intermediate anglers. Bar stock 6061 aluminium and Triaxial carbon spacers on selected models . The Orvis HELIOS 2 Saltwater is one of the most talked about fly rods on the market today. The 8-weight rod is perfect for casting long distances, and it certainly has the lightest swing rate of any other rod we have tested. 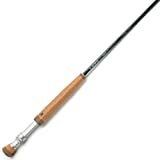 The rod is durable and quite affordable as well, but it is highly rated all around the globe. It is also worth mentioning that this rod is one of the best sellers at the moment and since everybody is having significant success with it, it should come as no surprise that we also highly rate it for the value it offers. The Orvis RECON Saltwater is designed to focus on performance and quality. It fuses the quality graphite design with a lighter weight to ensure that you can easily control it all day long. This fast action rod offers some impressive casting distances, and it should not only be ideal for the ocean, but for fishing in lakes and rivers as well. 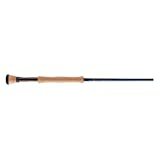 Orvis designed this rod to encourage avid outdoorsmen to continue enjoying the outdoors as often as possible. The rod is reasonably priced and offers users all the opportunity to have a great professional rod even if you are not yet an expert yourself. Available in multiple lengths and line weights, the St. Croix Legend Elite Saltwater is one of the most stylishly designed rods on the market today. The rod comes with stylish carry bag and folds up into 4 pieces, making it exceptionally easy to transport and carry if needed. In testing this rod, we found it to be extremely lightweight and offer a great deal of power. This makes it easier to reel in those tough catches and ensures that you have the ability for those more extended casting opportunities. This rod is the ideal professional and intermediate rod for those in the semi-pro level. With incredible power and strength, the R.L. Winston BORON III SX is one of the perfect rods for catching larger fish. This super-fast action rod is designed to be stiff and offers you great casting ranges, while also being lightweight and easy to control. The Boron III technology is something found in few rods but does increase the overall power. The drawback is the price, and with the Boron technology included, this rod is quite expensive. After using it, we have come the conclusion that many other rods should give you the same quality experience at a lower price. However, if you are looking to show off a little bit, this should be the ideal rod to do so. The Sage X Spey is one of the top two-handed rods. It features a length of 15-feet and offers exceptional power and control for catching those larger fish. With more of the weight down at the shaft, it provides outstanding casting ranges and significant recovery, but it is a little heavier to carry around. The line weight of this rod is 10. Using it takes some practice, and while it does offer great accuracy as well, you will not merely be buying it and using it. It will take some training before using it professionally. As one of the best spey fishing rods, we would recommend it for professional anglers. The Sage Method Spey is also around 15 inches with a line weight of 10. It is designed as something special to be used by top anglers around the world. The rod is quite stiff and features a fast action to produce as much distance and power in every cast. It is ideal for catching larger fish and flawlessly transfers the energy throughout the rod. We had the opportunity to test it, and it does live up to the hype. The rod might take some getting used if you are not used to the Spey fishing technique, but once this is mastered, it becomes the ideal rod for the professional angler. The Orvis Clearwater Switch & Spey is an affordable fly rod designed for beginners as well as intermediate users. The switch rod is around 16-feet, making it a little longer than some of the others and it is a bit heavier as well. However, it is easy to use and offers great power and control. The only weakness is the sound technique it requires to use it correctly. One thing we found quite interesting about this rod is the ability to cast with one hand. This adds some versatility to the rod making it ideal for the switch technique as well. We would certainly recommend this to any Spey fishing enthusiasts. At only 10-feet, the Sage One Trout Spey is a little smaller, and it is designed for catching smaller fish in the lake. The rod features a 2-weight line, and it is powerful enough to reach long distances where the salmon might be hiding. The rod is not the best Sage rod, but it is certainly ideal for casting with either one or two hands. Using this rod, it is hard not to notice the simplicity of the design and the quality it offers. The rod is perfectly balanced and reasonably priced, making it perfect for beginner or Spey fishing enthusiasts to improve their technique and enjoy the outdoors. The Handcrafted CF Burkheimer Classic is one of the top rods designed to help you get the fish you are looking for. The rod is available in multiple lengths and line weights and offers excellent power, but with the longer rods, it might lack a little bit of control to some users. Since the blanks have been hand sanded, they retain their intended actions and strength much better. Since this one of the more expensive rods on the market, finding one is also a little more stringent to try out, but according to many users, the rod has exceptional power and offers a great feeling in your hand. The rod is also quite stylish, but due to the high price tag, you might look for something a little cheaper. Last but certainly not least, we have the Redington Chromer and this super smooth fast-action rod is ideal for giving you great power and strength. The rod is around 11.6-feet, making it possible to cast with one hand the 5.1 line weight is perfect for catching small to medium-sized fish in lakes. It features a stylish matte black design and premium grade cork handles for providing you with the best quality. One of the great things about this rod is the lifetime warranty it includes, and this means that it has to be made from top quality materials. This rod has been designed for professional use thanks to the combination of quality and performance it offers. The fly rod actions dictate many of the aspects that you will be using when you are fishing. It helps with the stiffness of the rod as well as the distance you will be able to cast. It also has a significant impact on the performance and knowing which one is the right fit for you is crucial when selecting one. Ultrafast action: The ultra-fast action rods have more stiffness to them, and this means that you will not have as much flexibility when casting. It is great for windy conditions and allows you to make those longer casts and reel in larger fish. These rods are ideal for the more advanced anglers looking to reel in those more significant catches. Fast action: The fast action rods offer a little more versatility and enable the user to still reel in those larger fish, but they have some additional flex that could provide some more versatility. The fast action rods are ideal for anglers looking to have a little more performance with the added benefit of longer casts. Medium action: The medium action rods offer much more versatility, and they enable you to cast out deep but have a little more give on the rod. These rods provide somewhat more accuracy than the fast action rods, but still a reasonable degree of stiffness that will enable you to adapt to every situation. These rods are perfect for beginners. Slow action: The slow action rods are flexible throughout the entire shaft, and this makes them the ideal choice for fishing in smaller lakes and rivers. The downside is that they are not as great for windy conditions, but beginners will have much control with the help of the slower line speed. If you have never been fly-fishing before, these rods are the best for getting started. What Does The Taper of a Rod Mean? Many people might not be familiar with the taper of the rod since it does go hand in hand with the action. However, the taper not only describes the thickness of the rod, but it also explains the width of the blank and where along it fewer materials have been used to create a little more bend and flexibility. Graphite and fiberglass are used in the construction of top rods, and the graphite is the more rigid of the two materials. Whereas the more fiberglass used in the rod, the less, the lighter the blank that is produced and this will offer users a little more flexibility. In most cases, the taper and the actions are considered the same thing and many rods faster action rods have more stiffness to keep the rod from fully bending when you cast. What Is Fishing Rod Power? The power of the rod refers to the amount of pressure the user needs to apply for the rod to bend. This is defined by manufacturers in the form of heavy, medium, and light. However, many manufacturers have also included in-between levels like medium/light for specific users looking to get the ideal rod that matches their skill and technique. The high-end companies have all moved to a numbering system now that will indicate the power of the fishing rod. This makes it easier for users to pinpoint the right rod that might be needed and buy this rod as it matches all of the needs and compliments their skill and fly-fishing technique. Selecting the right power can make a massive difference in your experience. What Weight Fly Rod Should You Use? The weight of the rod refers to the weight of the line, and since many flies are virtually weightless, you will need something to cast them out and silently drop them in the water. When selecting the right weight, you should look at when you are fishing Different fish will require different weights as this also influences the durability and the ability for the fish to break off the line. When looking at the fly line weight, you should consider looking at something heavier if you plan on fishing carp, whereas something lighter like panfish will be fine with the lowest available weight and the right rod. If the rod is too heavy, it could also become somewhat of a burden to carry in your hands all day long and enjoy your fly-fishing experience to the fullest. Which Fly Rod Length Should I Go For? The length of the rod goes hand in hand with the skill level and the location you choose to fish. Shorter rods are between 6 and 8-feet, while the longer rods can go up to 10-feet and even longer. Depending on the area you are casting, the length will make a difference. For instance, in smaller areas with many obstacles like creeks, you will be using a smaller rod. The longer rods do offer much more casting ability for the angler and the longer the rod, the more distance you will have on your cast. The longer rods also offer much more control to the user, which means that you will be able to control the fish much better in the water before reeling it in. As we have already mentioned, it can be daunting to select a rod, and not all rods are the same. To avoid making the same mistakes we initially made, it is highly advisable that you do look at some of the features and understand how they influence the rod. We have talked to a couple of experts in the filed to find out exactly which feature they feel are the most important for any angler to look at before selecting a fly rod. Fly rods come in wide variety of different materials, and each of these materials will have their benefits and drawbacks. Selecting the right equipment will significantly depend on your budget as well as your skill level and what you will be using it for. Graphite: Graphite is one of the top materials used on a fly rod. It first made its introduction in the 1970s and manufacturers could now design something durable, yet still lightweight. Graphite is also the most sensitive of all the materials and with recent advances in technology; manufacturers have much improved on the older graphite rods. Nano-silica resin: Nano-silica resin has improved the way of the graphite rod, and it infuses nano-silica particles into the rod. This means that it is no longer a fill-in, but part of the structural component and makes the rod that much stronger and more powerful. It is also quite expensive. Boron: Boron is more of an add-on material and not the base material. It is initially used in aerospace designs but has been used in conjunction with graphite as well. This makes the rods stronger, lighter, and much more sensitive. Bamboo: Bamboo is considered the traditional material used in rods with slower actions. It is used for many of the cheaper rods today and thanks to the slower action it offers, these rods are affordable and great for beginners to start out with on their journey to become a fly-fishing professional. Fiberglass: The fiberglass rods are some of the older rods and while they might not have the power associated with the top graphite rods; it still caters for the slower action angler. These rods are some of the ideal rods for beginners, and since they are a somewhat lighter than the bamboo rods, they should be a great way for beginners to break into the sport. Another important feature to look at is the grip, and one does not always think of the grip making any differences when looking at the rod in the shop. However, once you are in the water and your hands start to accumulate sweat, the grip on the rods do come into play, and they play a major role in giving you control over the rod. Rod manufacturers have already seen that full and reverse well grips work perfectly with medium to heavyweight rods, while the cigar grips are ideal for the lighter rods. However, choosing the right grip will all come down to what you feel the most comfortable with. Not everyone will be using the same grip when they know something else might be better. The addition of a fighting bud is also important as you become more professional and start searching for larger fish. In my experience, the fighting bud made a massive difference when wrestling with the fish. As the hands begin to tire, the rod can be placed against the body with the utmost of comfort, and this will help you in your struggle to get the fish close to the boat. Anchoring the rod to your body is also much more comfortable than having to hold it in your hands for prolonged periods. Most rods nowadays are between 2 and seven pieces, and they use ferrules to connect with one another once you are ready to assemble it. Sleeve-over ferrules are used in faster rods thanks to their ability to transfer energy, while the spigot ferrules are used in some of the more flexible rods to help them with added flexibility. While the debate remains on whether you should choose one with more than four ferrules, new advances in technology have ensured that a 7-piece rod can now perform the same way as a 2-piece rod. The only difference now is the ability to store them and the smaller the pieces your rod is capable of assembling down to, the easier it will be to store and transport from location to location. Choosing the right reel seat will significantly depend on the environment you are fishing in. Saltwater fishing will dictate a reel seat that is capable of resisting the saltwater. If something like wood is used in the saltwater, it will eventually start deteriorating, and this is where something like aluminum is a better option, even though it might not be as aesthetically pleasing to the eye. Uplocking: Uplocking will be the method used if you need a little more rod length at the bottom for some extra grip. This method means the locking nut turns toward the reel to create this extra room. Downlocking: If you have problems with the reel slipping, the downclocking method will be the best option. It works with gravity and turns downward to create a little more stability, and it will be less likely to slip. Slip rings: This can be quite hard to introduce at first, but eventually, the cork will mold to the reel foot, making it easier to create a custom fit that will be ideal for you as you become more adept to the weaknesses and struggles you might face with your fishing rod. One of the first things you should understand when considering fly-fishing in saltwater is that no freshwater fish has the strength or fight capacity of a saltwater fish. The saltwater fly rods are much more durable, and they offer some additional strength. They have much better line speed, and they are fast action. This means that you will have the ability to cast out much further than with a standard fly rod. These rods are primarily made from non-corrosive materials as the materials tend to deteriorate much faster in saltwater and they have hook sets. These hook sets ensure that you securely hook the fish without running the risk of breaking or even shattering the rods on the first pull. It is also worth noting that most saltwater fly rods are 9-feet. Longer rods do not throw as tight of a loop, this might cause control issues, and many anglers might find it harder reel in the fish or even win the fight. Saltwater fly rods are a little more expensive as well, and this makes it a little harder to find them, as the sport is much more popular in fresh water. Choosing between a single handed and two handed fly rod is quite simple, but why would you want the single handed rod when you have so much more control and versatility with the two-handed rods. The simple reason is a personal choice, and I like using the one-handed rod solely for the fun and pure pleasure of bringing you closer to the fish. The single-handed rods are a little shorter, and they can be alternated between hands. They do take some getting used to if you have not used them often enough, but once you do get the hang of them, they make life so much more fun on the waters. The pure feeling of challenging the fish one on one is something that cannot be replicated by the two-handed rod, and this is something many people miss out on. When fishing for large trout like steelhead and sea trout, the Spey fishing technique is something that comes handy to reel in these larger fish. The two-handed rod is also commonly referred to as a spey fishing rod, and it is a little longer at around 12-15 feet while offering you a little more power and control to reel in your big catch. Founded in 1980 by fly rod designer Don Green, the Sage brand has come to life and has only improved with the years gone by. Sage makes use of some of the best materials on the market today, and even though their rods are considered some of the more expensive rods, they are still top sellers thanks to the reputation they have built up. Sage holds more than 3 times as many world records as its closest competitor, and this makes it a great choice for the experienced angler. With 75 world records, Sage is considered to be the best fly rod brand currently on the market, and it is one of the preferred choices by many of the professional anglers around the world. Orvis is one of the top brands when it comes to anything outdoors, and any outdoorsmen worth their salt must have heard or used one of their products. As one of the larger retail companies in the US, Orvis does not hold any records that will make people flock towards their stores, but they are one of the biggest sellers when it comes to fly rods across the US. Garnering such a reputation does mean that they put a lot of time and effort into creating their rods to ensure that all the users are happy and return to buy more. Word of mouth is also one of the best marketing methods that help them sell such a significant amount of fly rods. Based in Irvin, California and founded by Gary Loomis, these rods are designed to provide the best overall performance to anglers. The G.Loomis rods have attracted the attention of many top anglers around the world with the evolution of the carbon fiber rods. The rods are designed to be durable and world-class angler Steve Rajeffthe still holds the record for the longest cast with one of these rods at 243-feet. G.Loomis rods are also quite expensive, and they are not for the faint of heart. The company is solely driven by providing the best performance rods for top anglers to get the desired results they have been hoping for. T & T is one of the older companies around, and they have been around since 1969. These two individuals Tom Dorsey and Tom Maxwell married two sisters who happened to have a relative with skills in constructing bamboo rods. The relative later taught them how to craft these rods, and thus the company was born. Unfortunately, they did go through some hard time and the reputation to somewhat of a knock during the 1990s and 2000s, but since 2010, they have seen a resurgence in new quality and the sales have also improved. Established in 1929, R.L. Winston is one of the few manufacturing companies that have not been bought over by a larger company. The company was started by the technicians Robert Winther and Lew Stoner, and they started a tradition of entering the serial number of every rod into a journal. They started out by creating Bamboo rods and have recently added graphite composites. These rods are traditionally a little more affordable, and they will be great rods for intermediate anglers to get started and work their way up to the higher levels of professional angling. 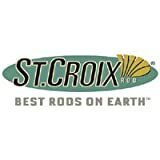 Established in 1948, St, Croix rods offer a wide variety of rods that cater to the needs of every professional angler. The Jonson brothers Bill and Bob came up with the idea of splitting the rods into three different segments, and this ensured a significant surge in their sales as the rods were now much more portable and more comfortable to carry. St. Croix prides themselves on their luxurious designs with affordable prices, and while they took somewhat of a knock as the multi-piece rods did not have the ability to transfer energy the same way as the two-piece rods, with the improvement of ferrule technology, this has undoubtedly been rectified and the rods are ever as popular. Designed primarily from fiberglass, these rods are perfect for intermediate and beginners. The rods are some of the cheaper high-end rods on the market, and they offer so much value to the user regarding quality. Durability is one of the leading focus points from the manufacturer while focusing on providing the best possible performance as well. Established in 1974 during the peak of the fly fishing era, the Scott fly rods focus on providing quality and value for your money. All of these rods have been handcrafted to ensure great value and to make each rod unique to the user. Top quality materials are one of the leading focus points of this company, and their rods are also considered to be some of the more affordable high-end fly fishing rods on the market today. Established in 1872, the Hardy Company is one of the oldest in the world of fishing. The company started initially by selling guns and later branched out into fishing, creating one of the best fishing reels of the time. As the company grew, they eventually branched out into other parts of the fishing world, gaining great interest from anglers due to the quality of their products. After facing some tough times, the company was taken over, but the name remains the same and today many of these rods are still made on the same basic principles on the first engineers. Hardy Rods are classic rods, and they cater to serve the needs of every angler looking for something to help them with their hobby. Fenwick is another old company established in 1952 by a group of five businessmen coming from Seattle. The company started producing fishing equipment and accessories with limited success, but after they were taken over by the Clock family in the 1960s during the emergence of the bass fishing tournaments, the company started seeing great success. As one of the leaders in the field of producing graphite rods, Fenwick was the first company to introduce the full graphite rod in 1973 and has since continued to develop the material to ensure that they do deliver the best possible quality to every user. Fenwick rods are somewhat expensive, but they offer great value for your money. While certain things in life are simply overpriced, when it comes to fly rods, you will need to look at the price as this has a great correlation with the value and the quality of the product. By purchasing cheaper rods, you will initially save a couple of bucks, but once they do disintegrate or even break, you will need to replace them and find another rod. One of the first places people look when reducing the cost of products will be the materials, and with fly rods, it is one of the last things you can compromise on. While bamboo is still a great material, it does not have the same capabilities as a full graphite rod, this will make it weaker, and you will be limited. By spending an additional couple of bucks, you will not only have a better quality rod but also save some money in the end. Some of the top rods have impressive warranties and the longer the warranty, the more confidence it shows from the company. The warranty is something that will keep you protected if the rod snaps or does not live up to its expectations. With cheaper rods, you will receive smaller warranties, and since a rod is not something you will be using every day, the warranty will come and go without you even noticing before it is too late. The Orvis Clearwater Freshwater Fly Rod is the ideal beginner’s rod. 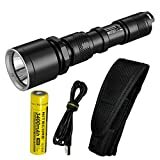 It is perfect for fishing in freshwater locations and should help any newcomer get used to fly-fishing. The rods have been durably made, and they do not have such a massive price tag. While you might not get the same power and distance out of them, these moderate-action rods offer a great combination of power and versatility. We were reluctant to test this rod to find out what it is made of and while it does not match anything that you will see the professional use, it is much easier to cast with them. The rod is protected by a massive 25-year warranty as well, giving you decent peace of mind. Our final rod is the Orvis Clearwater Saltwater Fly Rod, and this rod offers the same experience as the previous rod. It comes with a 25-year warranty and decent combination of power and versatility. It does not match up to some of the elite rods on the market, but for the price, it does offer great value for beginners. 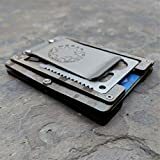 The main difference between the saltwater and the freshwater versions are the price, and the materials are all made to be a little more durable and resist all the pressure from the saltwater that might cause standard materials to disintegrate. This rod is highly recommended for any beginner looking to make their mark. Are you ready to enjoy the outdoors a little more? Finding the perfect fly rod is not always easy, and once you do find one that you like and feel comfortable with, it is recommended that you do stick to it and buy it no matter the price. These fly rods are all top quality, and we had the opportunity to test a couple of them and ensure that they do live up to the hype. Choosing the best one is not easy, but we have settled for the Sage Brand and all of their rods. They are also currently rated as the number one brand in the world for fly rods. We would like to thank you for reading this article, and we certainly do hope that you have managed to find the ideal one that meets your needs. We would like to encourage you to share your thoughts in the comment section below if you think we might have missed any of your favorites.